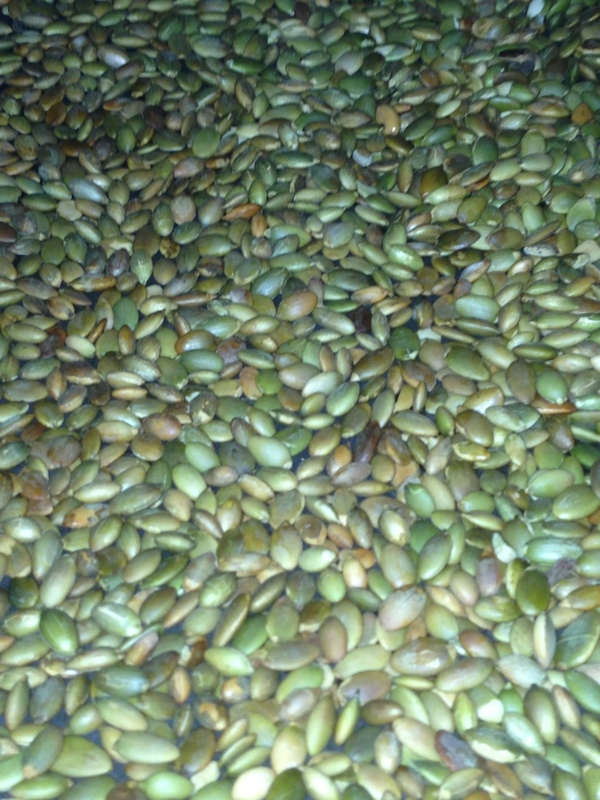 Roasting Pumpkin Seeds | Plan. Shop. Eat. Live. This morning, I warmed up the house by roasting raw pumpkin seeds in the over. I sprinkle them on my salad to add to my 1 cup of legumes per day. Seeing as how I can’t find them roasted without salt, I buy them raw and roast them at home.